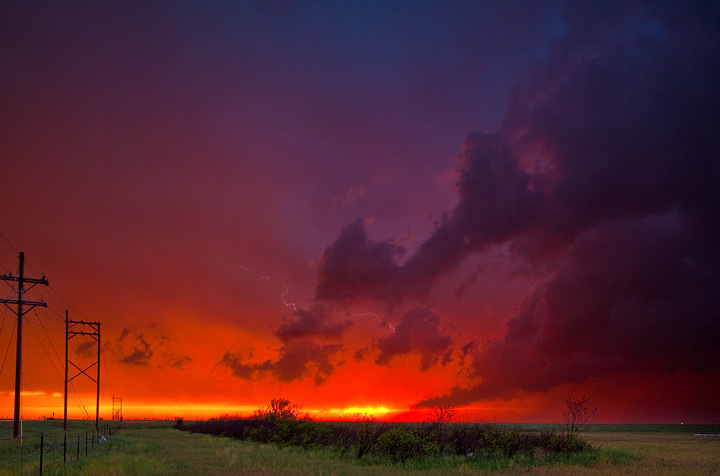 Supercell Sunset Ask any storm chasser; the sunsets produced by tornadic supercell thunderstorms are incredibly vivid! Note the faint lightning strike in the background. Photo © copyright by Stan Rose.